The oxford bright top is a must have for rider safety, it is highly visible in the day time and reflective at night. 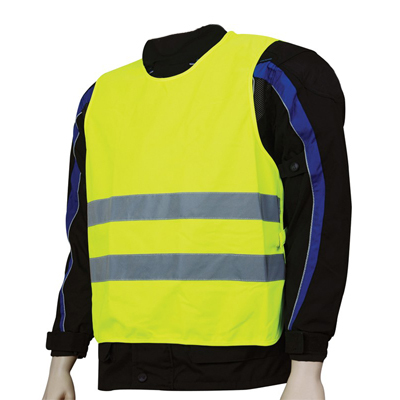 One size fits all and it is made with motorcycle clothing in mind - so it will fit over most motorcycle clothing without a problem. Semi Adjustable and conforms to EN471 standard.